Coinbase’s leadership expansion continued Tuesday as it added Charles Schwab advisor Chris Dodds to its board of directors and tapped former Instinet CEO Jonathan Kellner to be its new managing director of the Institutional Coverage Group. 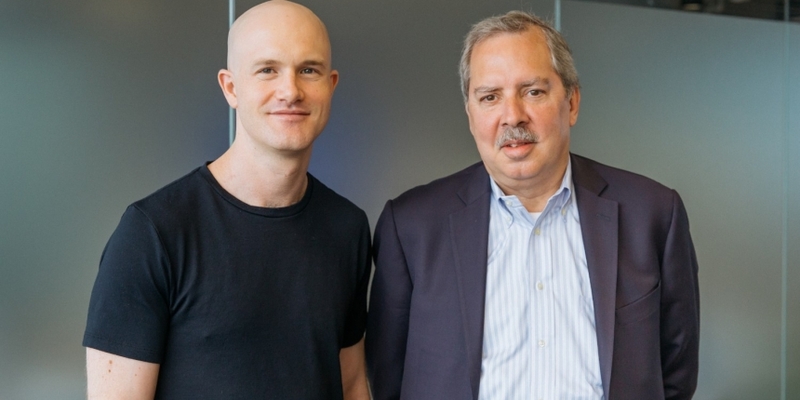 In one blog post, Coinbase CEO Brian Armstrong introduced Dodds, who sits on the board of directors at Charles Schwab, one of the largest brokerage firms and banks in the U.S. Dodds is also a senior equity advisor for the firm, and has spent more than three decades in the financial industry to date. In a similar post, Coinbase president and chief operating officer Asiff Hirji welcomed Kellner, who will run institutional sales out of the company’s recently-opened New York office. “[Kellner] will play an integral role in bringing our suite of institutional crypto trading products to professional investors,” Hirji wrote. The move will support Coinbase’s efforts to launch institutional products using cryptocurrencies as a “fully-fledged, tradeable asset class,” he explained. “Institutional investors of all types will play a critical role in the market … [and] will range from crypto-first institutions such as token issuers and crypto hedge funds, to more traditional finance players such as hedge funds, banks, asset managers and family offices,” Hirjii added. The news comes a day after Coinbase hired former J.P. Morgan executive director Oputa Ezediaro to its Institutional Coverage Group. The move was first reported by Finance Magnates.